Jeremy Pavia is the newest addition to The Union’s staff! After you check out this photogallery, make sure you check out his interview! Pretty decent turn out, yeah? This wasn’t even the high point in people at the park for the day. 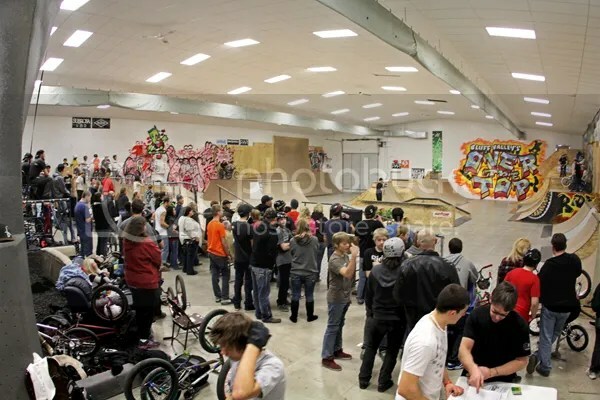 Every year for the last like 8 or so years, I’ve been able to get involved with an annual jam at one of Minnesota’s skateparks. Some people might remember the ones I was able to organize and help out with at Board To Death, Renegade, Mankato, Midwest and 3rd Lair in the past. Each year the events have been getting better and better with more and more support. This year was definitely awesome since it was by far the most we’ve ever been able to give away for prizes. The only down side to organizing an event is that you’re so busy running around like a chicken with its head cut off to make sure everything keeps rolling smooth. I’ll be honest and say that’s my least favorite part of the day. The other 90% is awesome though and at the end of the day, it’s always worth it. I was able to snap a few photos throughout the day to help keep track of what went down and everything. I decided I’d upload a bunch to give you an idea of how things panned out. Expect a full photogallery from Tristan Theil at some point this week and once Blake Waters gets back from a quick snowboarding trip the rest of the footage should start popping up. Check out 14 photos from the jam RIGHT HERE! *Click on images in gallery to see full resolution. The finals from Red Bull‘s Dreamline went down this past Saturday. The format was once again very loose with everyone who didn’t make it into finals voting for the top 3 riders. With a line up of Brian Foster, Chris Doyle, Mike “Hucker” Clark, Luke Parslow, Dennis Enarson, Cory Nastazio, Gary Young and TJ Ellis in the finals, good things were obviously going to happen. After the lines were touched up and watered by the building crew, the guys started rolling in on the trails. Once everyone was good and warmed up, the guys in the finals were given the heads up that the clock was going to start and they had an hour to impress everyone with everything in their bag of tricks. Needless to say, the final jam turned into a full on session with almost everyone riding; not just the guys in the finals. As the time progressed, things started getting real hot with guys throwing down things they have never done or haven’t done in years. Everyone was vibing so well that once the clock ran out, nobody said anything and just let the guys keep going. It was an amazing decision since that’s when two double backflips came out (Hucker and then Luke Parslow) over the big booter, Dennis was destroying the shark fin, Doyle was dropping 720’s mid set and everyone in general was pushing it harder than any of the riding seen the entire weekend. It wasn’t until Brian Foster went down with a possible torn ACL and the light was fading that the riders decided it was time to shut it down and cast their votes. It was apparent to everyone who would be taking home the cash this weekend. I’d like to send a huge shout out to Red Bull for organizing one of the most amazing and relaxed contests ever. 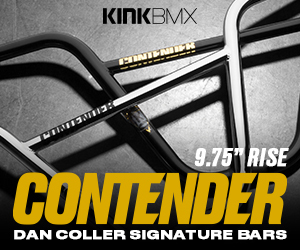 This is definitely one event that will go down in the history books as how things should be done in BMX. *Only top 3 were ranked. Don’t forget to check out the qualifier photos right here. *Click images to see in full resolution. The past few days have been, well, a dream. Red Bull gave Anthony Napolitan and his team of builders (Adam Aloise and Cody Nutter to name a few…) free reign on the hills of Coffee Mill Ski Resort in Wabasha, Minnesota to build the best possible dirt course they could. With months of secrecy for organizing and building the course, it was finally unveiled with a video that melted minds. Fast forward a few weeks and some of the best dirt riders in the world are flying into Minnesota wondering where the hell they are. Thursday was the first official practice day, and Friday brought the qualifiers. This contest was ran entirely different than any other contest because the format was very loose. Eight riders would get a one hour heat to get as many runs down the mountain as they can, while the other eight riders would be judging them. After both heats went through, four riders from each heat were picked for the finals that would take place the following day. Above you can find 56 photos from qualifiers that went down Friday afternoon shot by yours truly. If you would like to see the images in their full size just give them a click. You can now check out the photos from finals here. 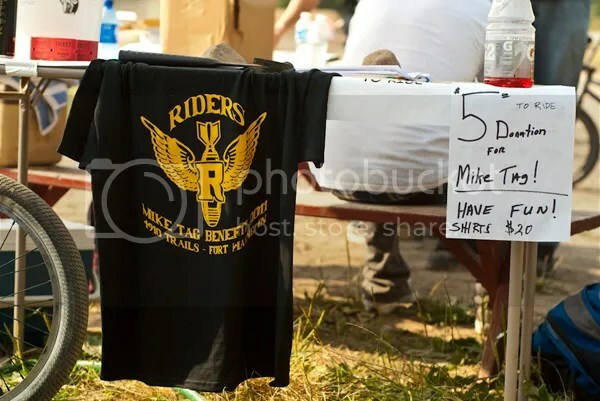 After you check out the photo’s, don’t forget to send Mike some love with a donation to help him pay for his chemotherapy!